Technology has come a long way in the last few decades and with its various advancements odd ideas are bound to pop up as well. 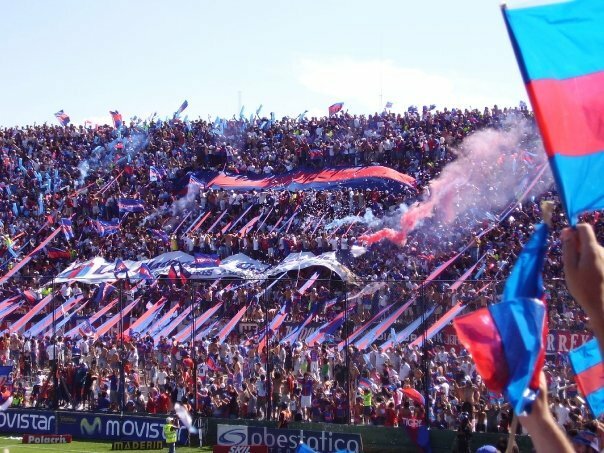 One such insane idea has come out of the front office of Argentine side Club Atlético Tigre. In recent days reports have surfaced about the club's intentions to implement a technologically advanced way to keep track of their fan base; that, by implanting a chip under the supporters' skin. As insane as it sounds, so far, there has been no evidence to dismiss the rumors as being false or even a publicity stunt by the club. That said, we here at FootyFair really hope that we hear otherwise in the next few days and are very hopeful no club would actually play around with the idea of implementing anything of this idiotic nature. Nonetheless, let's pretend for a second that this is in fact true, what would this achieve? Well, according to the club's official Twitter account, the chip under the skin would allow fans to enter the stadium much faster because the technology at the gate will be able to detect whether or not the fan entering has a valid ticket for the match, has no outsdanding payments for seasons tickets and so forth. In some countries football supporters are required to bring ID to matches, another aspect of the "game-day experience" the chip would eliminate. The club has also stated that this would help further with security concerns and would make operations run smoother. It's very likely that this is just a stunt, but what does the club hope to achieve with such a silly idea? Whatever it is, at least the slogan for the campaign is entertaining: Ahora, podés llevar a tu club adentro...De verdad! Which roughly translates to English as: Now you can carry your club inside you... really!